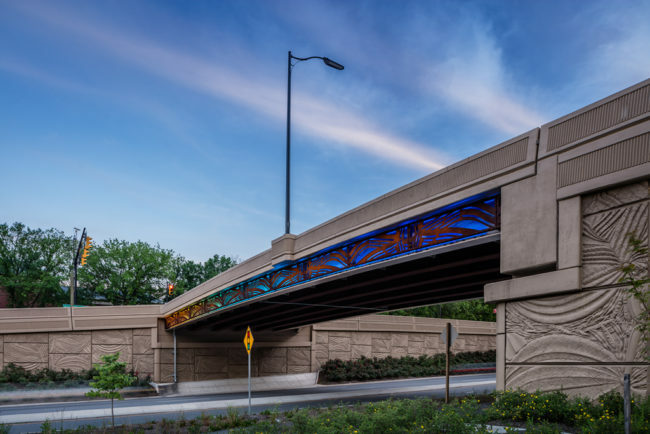 September 2014 marked the opening of the $39 million project that brings major safety and accessibility improvements to Arlington Boulevard/Route 50 at Courthouse Road and 10th Street by reconstructing the interchanges and associated access roads, replacing two aging bridges, and enhancing nearby pedestrian and bicycle facilities. 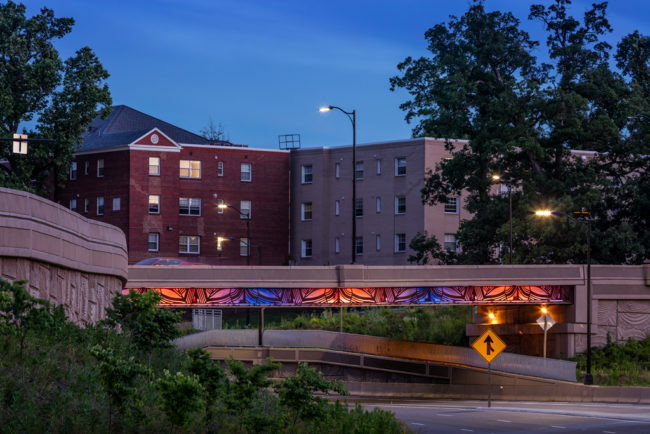 As part of this project, Arlington Public Art and VDOT worked with artist Vicki Scuri to enhance the visual appeal of the new bridges and retaining walls that connect Arlington Boulevard/Route 50 to the Courthouse-Clarendon neighborhoods. 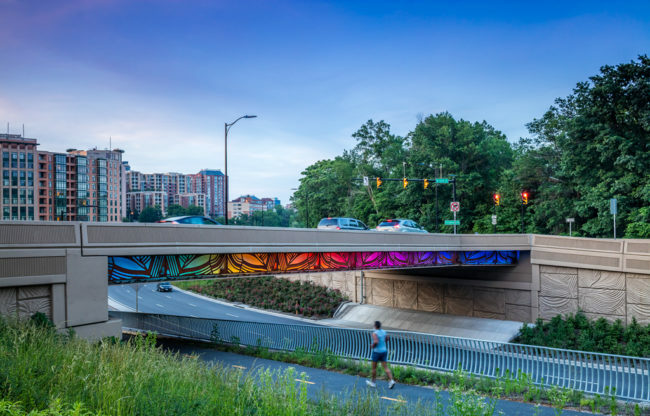 Drivers, cyclists and walkers traveling along Arlington Boulevard will see Scuri’s abstract patterns flow along the concrete walls and bridges like theatrical curtains, adding drama, scale, and identity to these large sections of roadway infrastructure. 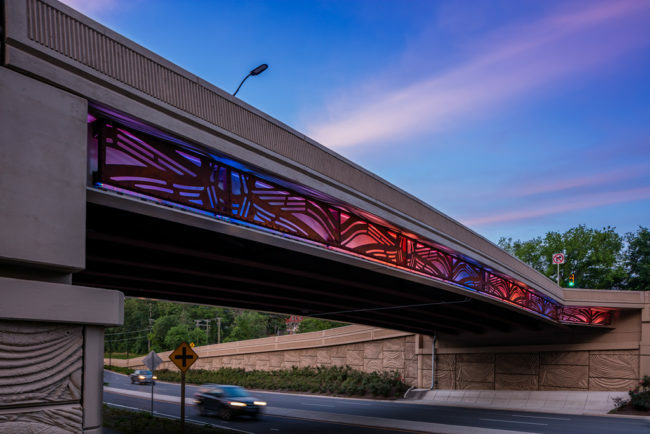 The CNC carved patterns are inspired by the heart-shaped leaves and seed pods of the native redbud trees that can be found in the area. 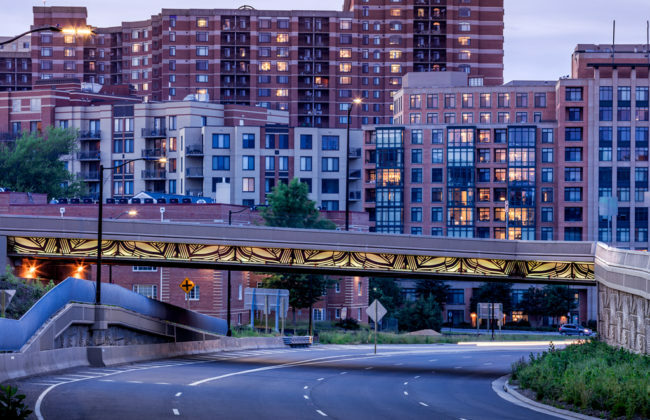 In addition, Scuri has designed patterned laser-cut grills that clad the bridge spans. 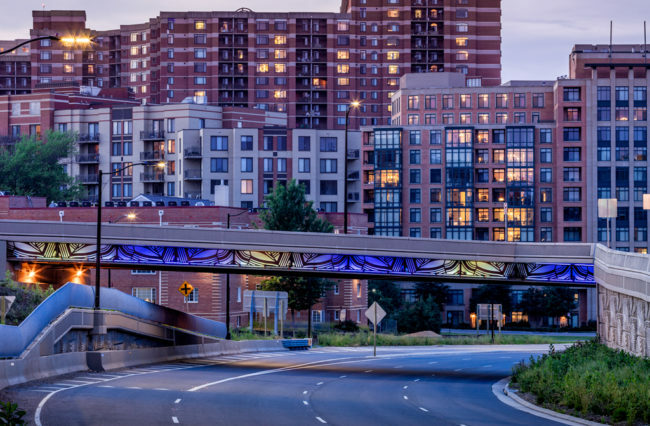 The grills are LED back illuminated, becoming local landmarks along Arlington Boulevard. 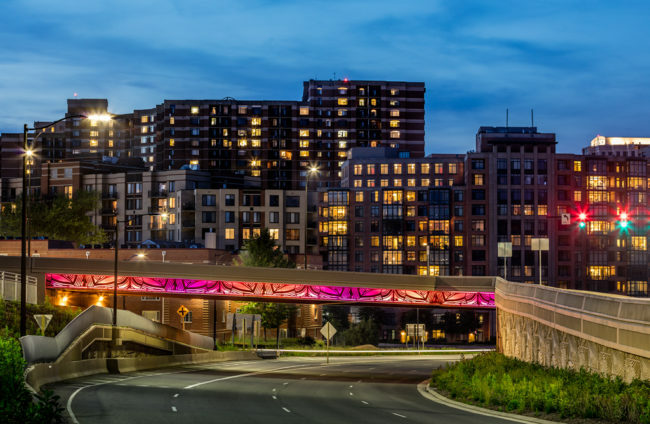 The wall heights rise to 25′ and the patterning sequences and transitions follow the site terrain. 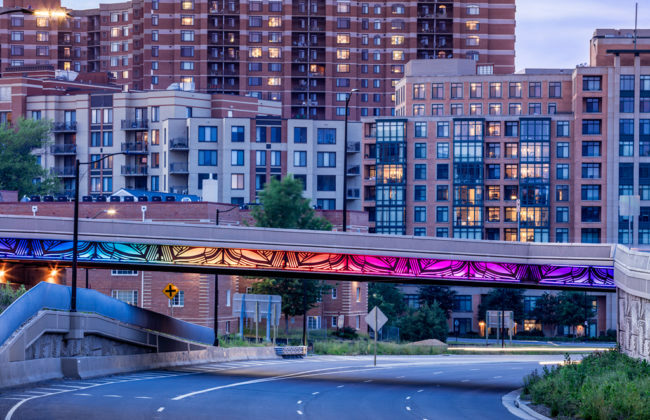 These design enhancements add a poetic expression of place to what would be an otherwise standard stretch of roadway. More information from Arlington’s Department of Environmental Services. More about the artist at vickiscuri.com.